Unlike previous ecocritical works, Fallen Forests includes marginalized texts by African American, Native American, Mexican American, working-class, and non-Protestant women. 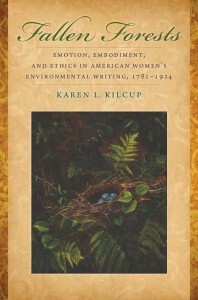 Kilcup also enlarges ecocriticism’s genre foundations, showing how Cherokee oratory, travel writing, slave narrative, diary, polemic, sketches, novels, poetry, and exposé intervene in important environmental debates. 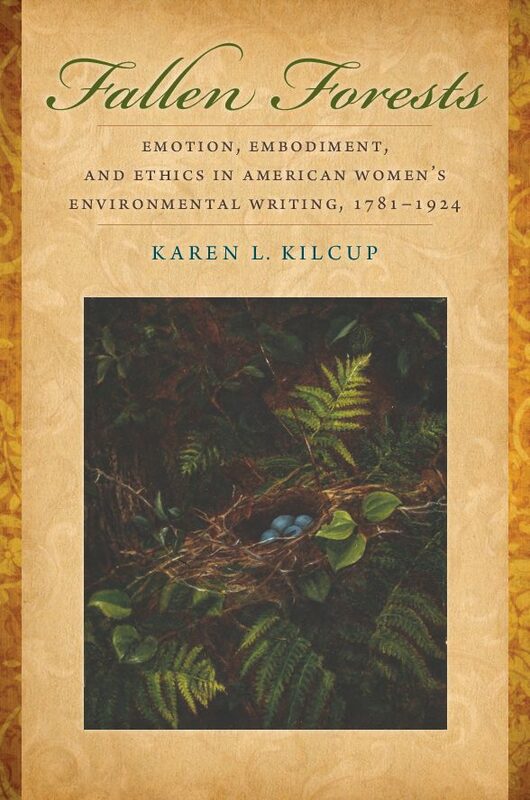 “In this wide-ranging, deeply insightful book Kilcup both extends and challenges current thinking about American women’s writings about the environment in the long 19th century. . . . Adding to the field of rhetorica, or women’s rhetoric, this book makes a valuable contribution to making ‘audible’ many now-forgotten women’s voices.